My son was enjoying his play, but then he suddenly slammed a piece on the table and became very angry. Everything had been fine. But out of nowhere – the screaming started. He threw a gear across the table. After I ducked, I went in to investigate. This post may contain distributor and affiliate links. To find out more about my distributor and affiliate links, read here. I went to him and immediately recognized how frustrated he was and put it into words for him. “Wow! You seem really frustrated! What happened?” I seriously don’t know why I ask anymore. Just the question itself brings a flood of tears and explanations all at the same time. And I have no idea what he’s saying while he’s wailing. I really should just wait. 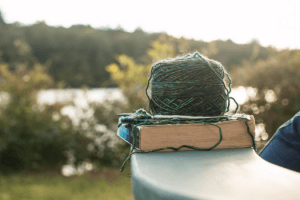 I realized all too soon that he had not been able to do something he wanted to do. His mind and imagination wanted to put those little blocks and gears together in a way that his tiny fingers weren’t quite ready to achieve. It was frustration at its worst. I get it! I’ve been there and been really frustrated at trying to do something that I just couldn’t make happen. So as he explained that he wanted to start building the gears vertically but it just wasn’t working, his frustration turned to anger and anxiety – “I can’t do it!!! I can’t do anything! I can’t build this. 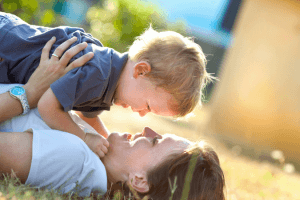 It’s useless.” Hearing your child feel helpless is like taking a 2 x 4 to the stomach! I’ve learned one word to help these situations. And I love using this word, because it teaches him that he is not a failure – even though he didn’t achieve what he wanted at this time. You need to ease your child into an emotional space where he can hear the awesomeness heading his way; so I want to acknowledge his feelings that he wasn’t able to do what he wanted to! I’m working with him to turn his perception of the situation around completely. This word encourages self-esteem in children. All children. And here’s the one word that does it. YET. That one simple word turns the whole thing around and can give children a sense that they can do it. YET. The word is YET. “I can’t do it, yet.” “I guess I can’t do anything, yet!” “I can’t build this, yet.” Yet. The word holds the promise that children will be able to accomplish their goals with practice. Yet. I can’t do it yet. But there’s the promise that they will be able to do it eventually. They haven’t failed, they just need to keep trying and then they know that they will accomplish their goal. Yet. The word holds the promise that children will be able to accomplish their goals with practice. Yet. I can’t do it yet. But there’s the promise that they will be able to do it eventually. They haven’t failed, they just need to keep trying and then they know that they will accomplish their goal. 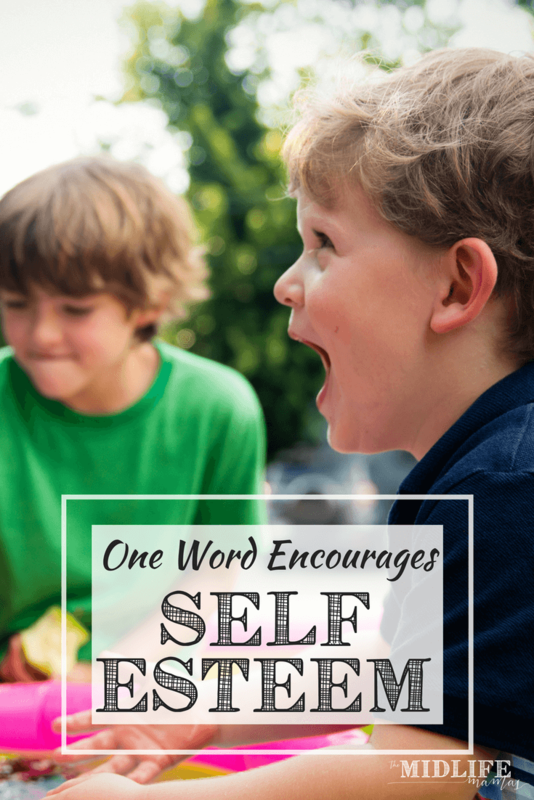 Using this one word at this specific time will encourage self-esteem in children. Your children. And any children that you come in contact with. ”Praising children’s intelligence, far from boosting their self-esteem, encourages them to embrace self-defeating behaviors such as worrying about failure and avoiding risks,” -Dr. Carol Dweck. I also like that using “yet” and teaching children to add this word feeds into the idea that what we should value and praise is a child’s hard work, perseverance, and effort – not just the end result. The word “yet” puts the emphasis on the process of achieving the result and takes the pressure off achieving the result immediately. So after I understood what my son was upset about, I said, “Yes, that’s true. You can’t do it YET. But, I bet we can come up with some ideas to help you get there. What do you think?” He looked at me, and he still wasn’t happy that he couldn’t do it, but he saw hope. He understood that there was a time when he would be able to do it. He understood that we could come up with ideas together. The word “yet” allows forgiveness. For both moms and children alike. I frequently use it myself. I haven’t stopped yelling at my kids sometimes. Yet.